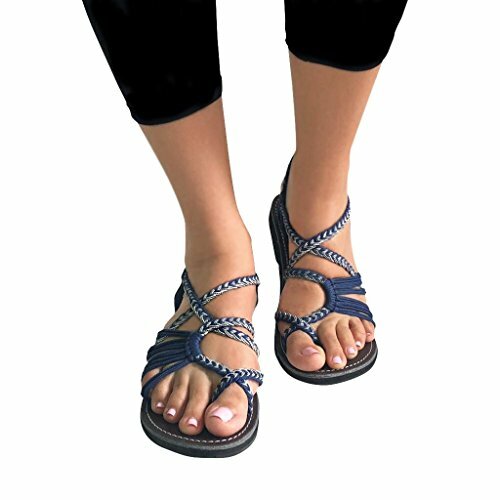 HIGH QUALITY - made of natural rubber sole and reinforced soft braided nylon straps, you will enjoy our sandals for many years to come. CONFORABLE - our soft rubber sole and nylon straps will quickly adjust to your unique feet shape and will feel comfortable just after your first use. HANDMADE - our sandals are made by hand, from the rubber sole to the braided nylon straps, crafted with care in our family owned micro factory. VERSATILE & LIGHTWEIGHT - the True Color casual sandals are great for everyday use, and perfect for travel and vacation, they are water resistant, lightweight and take a very limited space in your suitcase. TRENDY & STYLISH - with many color combinations to choose from and unique look our sandals are in trend and will help you complete your stylish look. If you have any questions about this product by True Color, contact us by completing and submitting the form below. If you are looking for a specif part number, please include it with your message.